A1) What is the telephone number for the Claims Department? A2) What is the address for the Claims Department? B1) Will a household insurance cover me for any golfing accidents? B2) Is there an excess on my golf policy? B3) How long is the insurance for? B4) I am golf professional; can I take out an insurance policy? B5) Is the policy available to non UK residents? B6) Does my health affect me taking out the insurance? B7) What do you mean by golf equipment? B8) Will my golf equipment be covered on a 'New For Old' basis? B9) Does this policy cover my golf equipment when I am abroad? B10) Is my golfing equipment covered for accidental damage? B11) Am I covered for the theft of my golf equipment? B12) Is my golf equipment covered whilst at home? B13) Are my clubs insured in a car? B14) Will my golf clubs be insured in a van? B15) Will my clubs be insured whilst in a locker at my golf club? B16) Am I covered if I hire golf equipment? B17) Am I covered for Personal Accident? B18) Do you really cover the bar bill if I get a hole-in-one? B19) Are tournament entry fees covered? C1) How can I cancel my policy? C2) How long will it take for my insurance documents to be delivered once I have purchased the insurance? C3) Will my personal details be passed on to any third party companies? C4) Who do I contact if I have a complaint? Please see your policy terms and conditions document. A handful of household insurance policies will only cover you adequately for risks that involve a golf injury. Yes, in the event of a claim, you will be liable for the first £100. However, there is an excess of £250 for each and every claim arising from accidental damage to third party property, in the case of public liability. The insurance is for a twelve month period, and a single premium is payable prior to the start date. 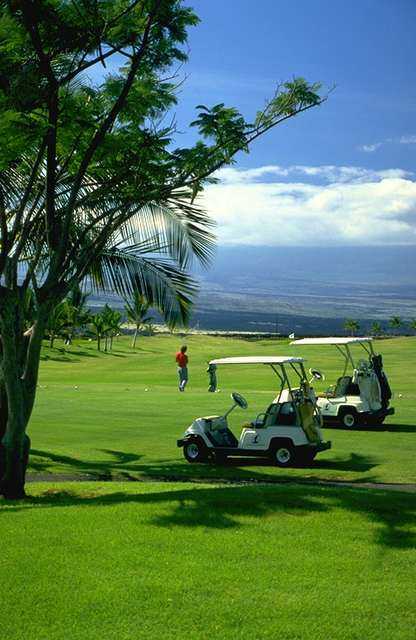 Unfortunately, Golf Insurance Online can only insure amateur golfers. Unfortunately we only provide cover for UK residents. No, medical conditions will not affect the purchase of our policy. Golf bag, umbrella, clubs, trolleys and specialist golf clothing. Yes, golf equipment is on a 'new for old' basis for items replaced within 12 months of purchase. Any golf equipment older than 12 months would be considered on an indemnity basis only. As long as you are a UK resident, domiciled in the UK, cover is applicable anywhere in the UK and up to 90 days Worldwide during any one period of insurance. In Insurers' opinion, golfing equipment will be repaired to its prior level of functionality or they will replace any parts or, if beyond economic repair, replace the golfing equipment with a similar article of like kind, functionality and quality. Please note, the exclusions in the terms and conditions. In Insurers' opinion, golfing equipment will be replaced with a similar article of like kind, functionality and quality. Please note, the exclusions in the terms and conditions. Yes, golf equipment is covered at home, or when confined to a fully locked boot. Terms and conditions apply. Yes, they will be covered so long as they are securely locked in the car boot, not visible to any third party. Our insurance does cover golf equipment within a van, as long as it has a secure bulkhead with no access between the cab and back of the van. Yes, your clubs would be covered as long as the locker is securely locked. Insurers will pay to the maximum sum insured for the hire of golf equipment in the event that your golfing equipment is stolen in transit while travelling to an overseas destination or is stolen while travelling by air within the UK. Insurers will pay, as shown in the schedule of benefits, if at any time, whilst using golf equipment, you are involved in an accident which shall, solely and independently of any other cause, cause bodily injury which results in either your death, loss of limb, loss of sight, or permanent total disablement (maximum age 65 years). This benefit is limited to £10,000 per claimant. We will pay up to the amount stated in the schedule of insurance toward the cost of reimbursement of a round of drinks in the event of completion by you of any hole-in-one stroke during any organised competition or tournament on a recognised golf course. Yes, insurers will pay up to the amount stated in the schedule of benefit for the non-refundable portion of a golf tournament entry fee when cancellation is due to an unexpected, unforeseen sickness or accidental injury occurring within 14 days prior to the tournament start date that renders you unable to play golf (a doctor's written advice must be obtained confirming that you are unable to play). If you decide that, for any reason, this policy does not meet your insurance needs, then please inform us within 14 days of issue and we will provide you with a full refund. Documents are dispatched automatically via our system, and should be with you within several minutes of purchase. No, your details will not be passed on to any third party. However, we may contact you from time to time with special offers. If You remain dissatisfied, short of court action, You: have the right to ask The Financial Ombudsman Service to review your case provided the policy is not of commercial nature. The right to apply to the Ombudsman must be exercised within six months of the date of the Company's final decision. He can be contacted at the following address: The Financial Ombudsman Service, South Quay Plaza, 183 Marsh Wall, London E14 9SR Telephone: 0845 080 1800.